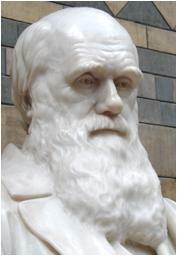 First, we argue that it is fallacious to believe that because the formulation of the theory of evolution, as conceived in the 1800s, did not include an explanation for the origin of life, nor of the universe, the concept of evolution would not allow us to hypothesize the possible beginnings of life and its connections to the cosmos. Not only Stanley Miller’s experiments of 1953 led scientists to envision a continuum from the inorganic world to the origin and diversification of life (see Nicholas Wade tribute to Miller in The New York Times), but also Darwin’s own writings of 1871 (see transcript and letter image above). Second, to dismiss the notion of Rice et al. that evolution does not provide explanations concerning the universe or the cosmos, we identify compelling scientific discussions on the topics: Science and the Concept of Evolution: From the Big Bang to the Origin and Evolution of Life (Zaikowski et al. Evo Edu Outreach 1:65–73, 2008 ), Cosmic Evolution (Krauss Evo Edu Outreach 3:193–197, 2010 ), Charles Darwin and the Origin of Life (Peretó et al. Orig Life Evol Biosph 39:395–406, 2009 ), and Darwin’s Warm Little Pond Revisited: From Molecules to the Origin of Life (Follmann and Brownson (Naturwissenschaften 96:1265–1292, 2009 ). Charles Darwin (photo © left G. Paz-y-Miño-C. 2010, British Museum of Natural History, London; for excellent information on The Complete Work of Charles Darwin visit Darwin Online and the Darwin Correspondence Project). Third, although we acknowledge that the term Darwinism may not be inclusive of all new discoveries in evolution, and also that creationists and Intelligent Designers hijack the term to portray evolution as ideology, we demonstrate that there is no statistical evidence suggesting that the word Darwinism interferes with public acceptance of evolution, nor does the inclusion of the origin of life or the universe within the concept of evolution. We examine the epistemological and empirical distinction between the theory of evolution and the concept of evolution and conclude that, although the distinction is important, it should not compromise scientific logic. To access full article click on Evo Edu Outreach, Volume 4, 2011, Number 2, 308-312 [PDF]. Recommended Book: A Universe From Nothing: Why There Is Something Rather Than Nothing, by Lawrence M. Krauss. See article on Lawrence M. Krauss, There’s More to Nothing Than We Knew, by Dennis Overbye from The New York Times.